A loan of $700 helped to build a cow shed. SIXTY Two-year old Reuben does not boast of a university degree or even a certificate from an agricultural institute, but he is a village celebrity in his own right. Based in Nyamarambe, which is a remote village in the rich highlands of the Kisii area of Kenya, he is involved in dairy, poultry and maize farming. He engages in milk and egg production for commercial purposes, as opposed to many rural farmers who are in it for subsistence. These commercial activities place him in a better position to engage in other agriculture-related businesses, which, in fact, he does. 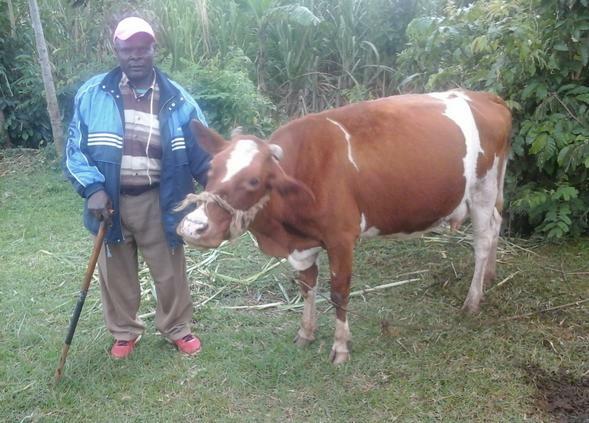 Reuben is seeking a loan from Kiva lenders via Juhudi Kilimo to construct a cow shed. This will help significantly in managing the animals’ health and hygiene. He has been in the farming business for at least 24 years. He has no plans to quit in the future, as he finds farming to be not only fulfilling, but also lucrative. However, his biggest challenges are the poor road network and lack of market. With your loan, Reuben will construct a cow shed, which will later come in handy when he scales up and introduces zero grazing. The long-term impact is an increase in productivity and improved animal health. The additional income from this development will go to his children’s education.